Home / Thai herb / 9 wonders of Black Pepper that you must have it at your home. 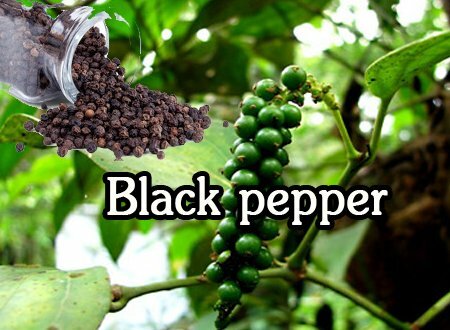 9 wonders of Black Pepper that you must have it at your home. It’s a spice that you need to call for it to taste of food. Not just make your food delicious only, but also take care of your health as well. In addition, Black Pepper is the famous king of spices for flavor to cook. Also the herb is amazing that is used for cooking, medicinal herbs, and supplements. Today, we have the properties of black pepper that help to treat the health. Black Pepper, it is changed from a spice to be an herb for taking care the body. To digest better. To prevent constipation and diarrhea. It has been reported that black pepper can help treat the gastric ulcer and help the stomach to digest food better at the same time, because it has helped to increase the amount of hydrochloric acid which is responsible for the protein. To lose weight. Some herbs help to reduce appetite, but black pepper is a help to increase some enzymes that digest fat. Anyone who wants to lose weight and reduce cholesterol in the same time. To absorb the nutrients. In addition, black pepper is a herb, it is a transport nutrients for another herb to various parts of the body and is helping the absorption efficiency. To treat the skin diseases. A study in England found that this spice can help treat vitiligo because it stimulates the skin to produce melanocyte and reduce the risk to be skin diseases, both treatment and prevention of dual to each other. To have antioxidant. Black pepper is one antioxidant like other herbs, but also it repairs cell that damaged from free radicals. Black pepper with the properties in Chronic Diseases. To reduce injuries of respiratory diseases. Such as cold and stuffy. Also, there is the effect of dissolving sputum better. Anyone who suffer sinus symptoms, it is a good news because black pepper helps to treat sinus rhythm. To against bacteria. Infections from bacteria acts like a disinfectant such as infections in the digestive or urinary tract. To build a working brain. Especially the thinking and memory in Alzheimer’s disease. It’s one of the herbs that stimulates a neurotransmitter in the brain smoothly. To reduce the risks to be heart disease. In addition, the herb can digest and clean blood vessels by breaking the fat that is attached to the walls of blood vessels. Therefore, it is the main cause of cardiovascular disease. When you hear this one, Black Pepper is one choice that takes care your heart. How are the properties of Black Pepper? Flavoring dishes not only can make the delicious, but it makes you smile because you must not tire of working on all body systems. The Black pepper herb stimulates various important systems to work effectively, healthy going for it. If you are interested in 100% authentic Chiang Dao Nature Food, you can call or ask for rental information. To buy products at the factory. 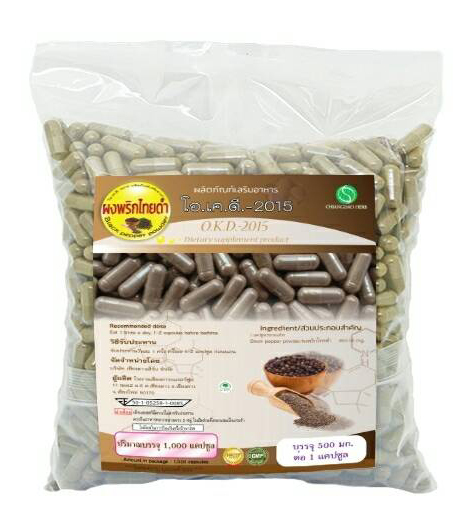 This entry was posted in Thai herb and tagged black, Black Pepper, healthy, Herbal, peper. Bookmark the permalink. ← 5 worthy of Curcuma comosaWan or Chak Mot Luk that answers and solutions for problems women.